Buy More Pre-tied Velvet Gift Bows Save More! 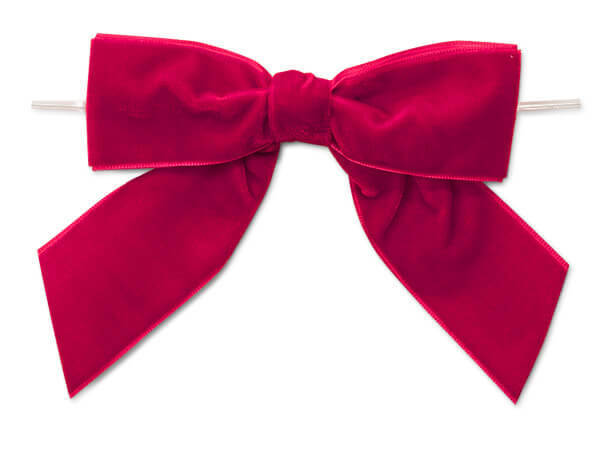 Soft rich velvet bows have a 6" twist tie. Made in the most popular colors this large bow has a stitched edge - no fraying. The velvet is one-sided with a beautiful coordinating backing.